Since its founding in 1788, Quaker Testimonies have guided Westfield Friends School to provide a quality education to the children of the area. Early Friends created “sponsorships” to enable all who could attend the opportunity to learn. Today, Westfield’s Annual Fund supports the school’s ability to structure tuition to the resources of our families. 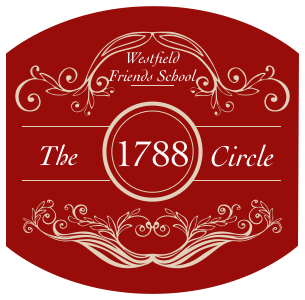 Beginning Fiscal Year 2018-2019, community leaders who support Westfield with a combined annual gift total of $1000 (or more) to the Annual Fund will be recognized as members of The 1788 Circle. Donors will be acknowledged with an asterisk in the Annual Report's Donor Listing for that fiscal year, as well as be invited to the annual Appreciation Event. The majestic Copper Beech tree that graced Westfield Friends School’s campus became a natural symbol of the school. Westfield’s literary publication was named the The Copper Beech because the tree represents learning, understanding, nurturance, protection, and the preservation of written knowledge. 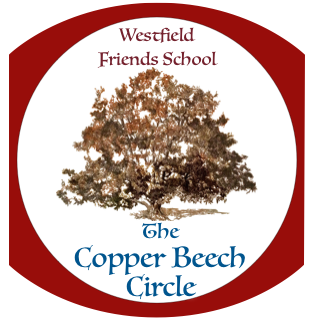 Fiscal Year 2018-2019, Westfield Friends School is introducing The Copper Beech Circle as a way to recognize those who preserve, protect, and nurture the school by including Westfield in their planned giving. Donors who commit to Westfield with a planned gift today, help the school nurture learning and understanding for our children, grandchildren and future generations.